Adoption is a wonderful choice for many couples, but it isn’t for everyone. IVF and surrogacy gives same male couples another way to start a family. The surrogate may be someone the couple knows – perhaps a friend or a sister – but the egg is donated so there is no genetic connection with the woman carrying the baby. The sperm can come from either parent, but unlike the US the sperm cannot be mixed. For all these decisions the couple and the surrogate are given counselling. 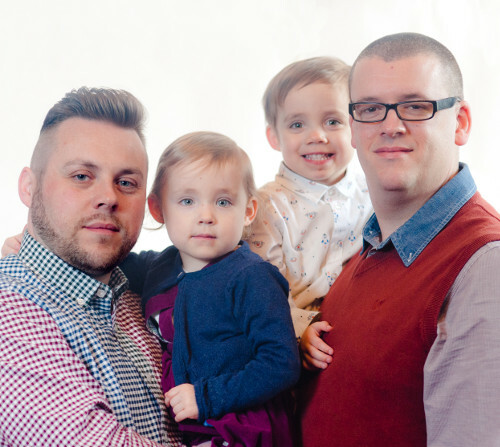 The Naked Scientists recently featured an interview with Bourn Hall IVF dads, Matt and Gary. To listen to the interview, visit The Naked Scientists’ website here. To read the original story, take a look at our Your Stories page here. Matt and Gary considered adoption, but decided early on that it was “not a route we wanted to go down”, and began exploring other options. For more information about the range of fertility treatments offered at Bourn Hall, click here.